Every home cook should keep at least two bottles of wine (if not more) in the kitchen — a nice one for drinking, and another slightly less nice one for cooking. When used well, wine can add some delicious depth and flavor to nearly any dish, even at brunch. Don’t believe us? Grab a glass of wine (to drink, obviously), grab another bottle and get cookin'. Adding a little vino to your meal isn’t limited to dinnertime! Amplify your boozy brunch with these eggs poached in red wine — they may look fancy, but they’re shockingly easy to make. 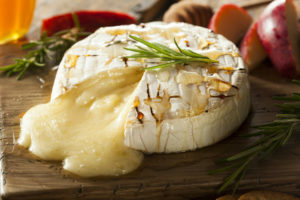 The only thing better than brie? Baked brie. And the only thing better than baked brie is baked brie infused with red wine and blackberries. Yup, that exists, and you need to put it on your next dinner party menu. Right now. These drunken noodles get their burgundy hue from being cooked in nearly two bottles of red wine. The pasta absorbs so much flavor from the wine that you barely need to season the dish when you’re done — just add a sprinkle of parm cheese and a grind of black pepper and you’re ready to have your wine and eat it too. 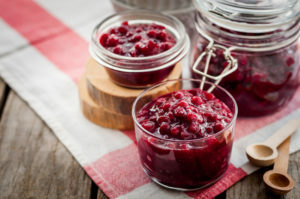 Cranberry sauce is a standby holiday side dish, but it can get a bit boring. Next time you’re tempted to reach for that canned good stuff, try making this spicy, boozy rendition instead. If you have any leftovers, the sauce also tastes great on a grilled cheese sandwich, in a yogurt parfait, on buttered toast ... the possibilities are endless. Nothing goes together quite like rich dark chocolate and smooth red wine — so why not combine them in your next dessert? 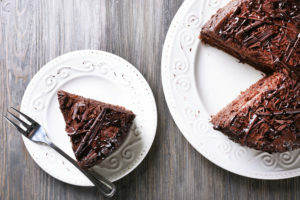 This red wine chocolate cake uses wine in place of milk to give the cake its moist texture and enhance the chocolate flavor. Pure. Genius.